Join us at Birmingham City University and you will be studying right in the heart of a forward-looking and vibrant city with plenty to see and do just a few minutes’ walk from the campus. Whether you’re moving to Birmingham or you’re a Brummie at heart, there’s so much to student life here to explore. 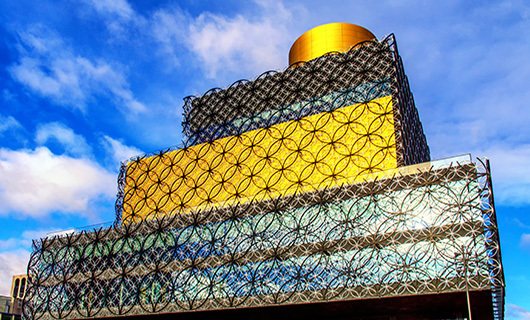 Studying in Birmingham offers you the chance to live and work in the youngest major city in Europe with world-class restaurants, entertainment and shops. Birmingham is home to more than one million people from a range of different cultures and ethnic groups, 40 per cent of this population is 25 and younger. Coming to Birmingham for Insomnia64? If you're in town to experience the UK's biggest gaming festival, be sure to check out our other recommendations to give you an idea of what else you can do! Our guide to the bars, restaurants, spaces and experiences which are either completely hidden or hold something delightfully unexpected. 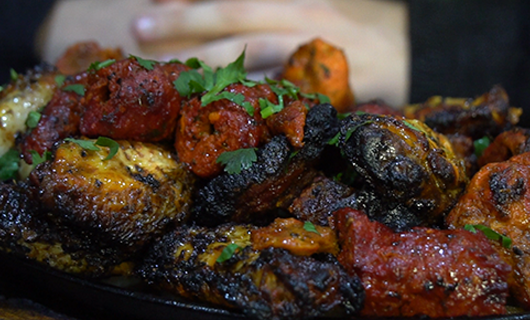 Finding the best mixed grill in Birmingham can be hard. Take a peek at our list to find the the best places to go in the city for the ultimate mixed grill. There's so much going on in Birmingham – from the buzzy street markets to the unmissable transformation of the whole city - study here and you'll be at the heart of it all! Explore the city for yourself when you visit one of our Open Days in 2019. The food and drink scene in Birmingham is thriving. 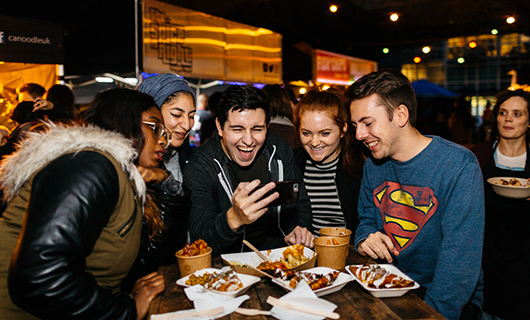 Our street food festivals are award-winning and our restaurants are Michelin starred – well four are, the most out of any UK city outside of London. The city is packed with well-known top chains, full to the brim with a variety of independent cafés and bars (many offering student and other discounts) and the speciality supermarkets, butchers, bakers and farmer's markets make it a foodie's haven. And for the 'pot noodle' chefs, there's supermarkets and convenience stores around most corners. Birmingham has nightlife covered. There’s a reason it’s a must-visit destination for revellers all over the country. If it’s big clubs and bars playing the latest hits, then Broad Street is for you. Prefer the underground? Then Digbeth’s venues are where to visit. For the more bohemian night out, the independent scene of Moseley and Kings Heath is perfect. Then there’s the brand new and old traditional pubs of the Jewellery Quarter, student-priced Selly Oak and everything the city centre has to offer..
Birmingham is a shoppers’ paradise. The famous Bullring is packed with modern, glossy, big brand shops. It’s always developing, opening new stores and staying on trend. The brand new multi-million pound Grand Central has brought a new element to the shopping scene where shops and food, brands and independents live hand in hand. The restored Victorian arcades bring affordable class to the city and our markets offer everything from top labels to second hand bargains. Then there’s the treasure chest of music, comic and other pop culture shops ready to be explored. Whether you're interested in sport as a participant or a spectator, Birmingham has plenty to offer. It’s home to three leading football clubs – Aston Villa, Birmingham City and West Bromwich Albion. International cricket takes place at the world famous Edgbaston cricket ground. The Belfry is a well-loved and historic golf course. And with the Commonwealth Games coming to Birmingham in 2022, we're expecting stadium upgrades and new sporting venues set to pop up across the city. With world-class art, unique drama, musical flair, diverse dance and performing arts, Birmingham is a great place to soak up culture. Birmingham’s major theatres attract the cream of the West End touring shows as well as showcasing original ballet, opera and musicals. The oldest working cinema in the UK, The Electric, is at the heart of the city centre and is a major part of Birmingham's film scene, along with the ‘Flatpack Film Festival’. The city's diversity also brings a variety of different religious festivals alongside internationally known events such as Comic Con and many music festivals.